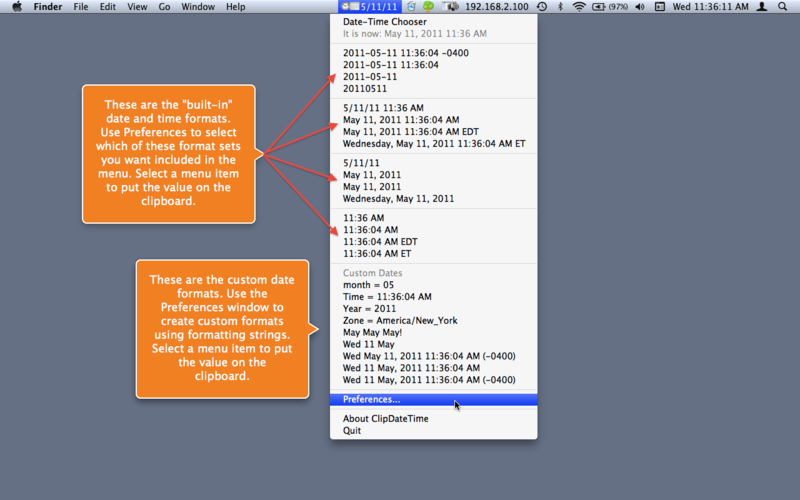 ClipDateTime is a menu bar app that copies the current date and/or time, or a date and/or time chosen from a calendar-clock control, onto the clipboard when a menu selection is made. This app also displays the current date and time in the menu bar, in various built-in and custom styles (using date-time format strings), chosen or entered, in the preference window. Visit the gallery for annotated screenshots of this app in use.